Ahhh…. The alluring sight of traveling the country with an RV in tow. A picture of a happy family making camping memories for years to come. If this is what you are looking for in life. Join us at America’s largest RV and Camping Show. Beginning September 12 and continuing until September 16, the country’s largest RV and camping show will have everything you can imagine. My twelve easy ways to save money at America’s largest RV and Camping Show in Hershey, Pennsylvania are effortless enjoy. 1.The Open Range Light LF 297 RLS is light weight, rear living area fifth wheel camper. Weighing in at only 7,465 lbs. and uniquely designed to be towed with a 5.5′ short bed, properly equipped, half-ton truck. 2.The Open Range Light LF 305 BHS is a light weight, rear bunk room fifth wheel camper. Weighing in at only 7,940 lbs. This fifth wheel is designed to be towed with a 5.5′ short bed, properly equipped, half ton truck. 3.The Open Range Light LT 274 is a light weight, rear living area travel trailer camper. Weighing in at 6,265 lbs. This travel trailer is a great ‘ma and pa’ type of RV. 4.The Open Range Light LT 305 BHS is an exciting bunk model travel trailer. Weighing in at 6,805 lbs. This travel trailer can sleep up to nine people. Equipped with a full size outdoor camp kitchen. 5.The Open Range Light LT 308 BHS is another marvelous bunk model travel trailer. Capable of sleeping up to ten people. This RV features a full outdoor camp kitchen. 6.The Open Range Journeyer JT340FLR is a four season travel trailer. Loaded with an incredible amount of personal storage and living space. Why not try out a great four season RV? 7.The Open Range Roamer RT 320 RES is a spacious rear entertainment center travel trailer. A open living room and spacious kitchen counter top area make this RV very alluring. 8.The Open Range Roamer RF 395 BHS bunk house fifth wheel camper. Featuring a large rear bunk room with a half bath. A spacious kitchen counter top, and full outside camp kitchen help make the RF 395 BHS a very popular camper. 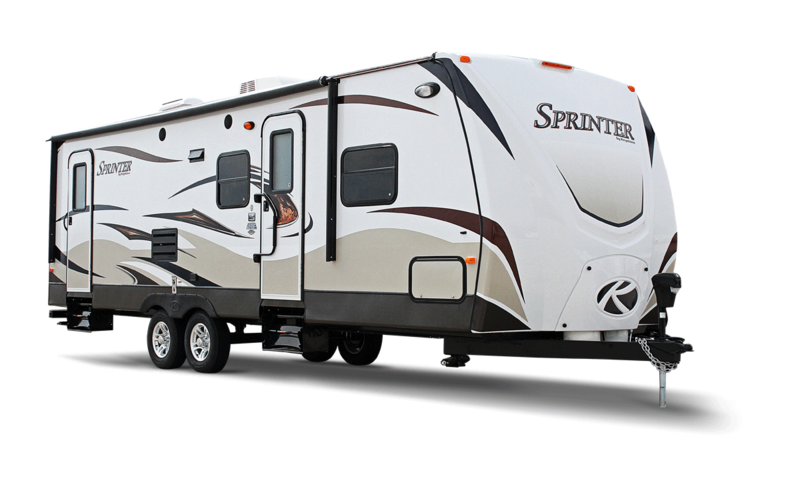 9.The Open Range Roamer RF 338 RLS fifth wheel camper. A rear living area with a full residential sized sofa and a full outside camp kitchen, makes this a very exciting camper. 10.The Open Range 386 FLR is the new standard in front living room fifth wheel. The front living room and open kitchen provides you the roominess you want. While the step up rear bedroom provides you with more basement storage. This is a must see four season fifth wheel camper. 11.The Open Range 413 RLL is a bunk house fifth wheel camper. Equipped with two full baths. The large living area provides you with the space that you need on those rainy days. Loaded with storage space too! 12.The Open Range 427 BHS is a bunk house fifth wheel camper. The rear quad bunk room features a half bath. Featuring an eat at kitchen island and a large King bedroom suite. There you go, my twelve easy, great ways you can save at America’s largest RV show. 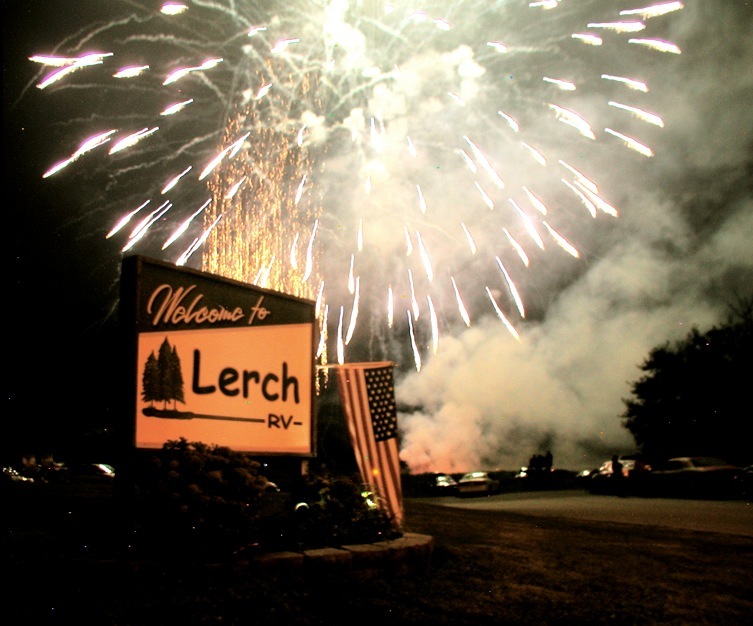 For more information on any of these great Open Range RVs, contact Pennsylvania’s largest Open Range RV dealership, Lerch RV. We will gladly answer any questions that you have. I recently saw my first Atwood ‘He’ RV Refrigerator in a new Keystone Passport. 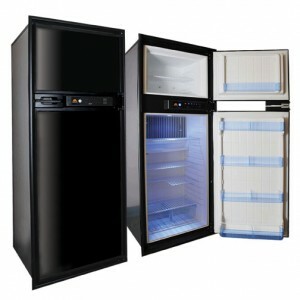 It is a very sharp-looking RV refrigerator. The doors easily open and close, and the lay out of the shelving is nice. With this being a brand new refrigerator technology that will be available in newer unit, I wanted to share with you this article from RV Business that I read a month ago or so. The new Helium technology is quite interesting and should provide a stable product for many years to come. That will change — to an extent — in August when Atwood Mobile Products plans a controlled roll-out of its new RV refrigerator because the new Atwood reefer incorporates helium instead of hydrogen.